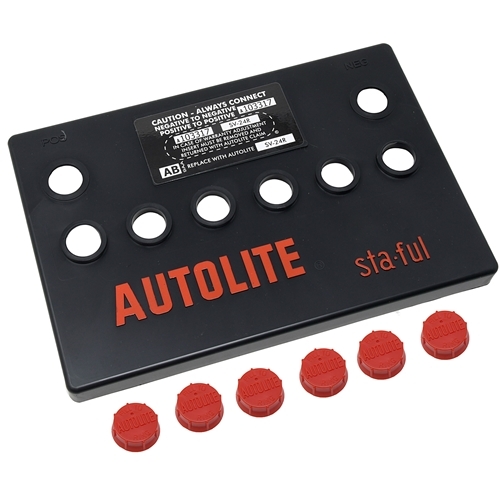 If you prefer not to buy the complete reproduction Autolite battery that we offer, this is a fantastic alternative. This is the highest quality "topper" available. Molded in color, authentic Autolite red caps. Fits any flat top style Group 24 battery. We prefer the Exide brand Group 24F battery. It even has the molded in "edge" on the case to attach the original clamp on the 65-66 Mustangs.